Imagine you had only one day to spend in this magnificent city. What should you definitely see and what to leave out? ActiveCzech.com will be your guide. Check out Prague from the waves of the Vltava river. 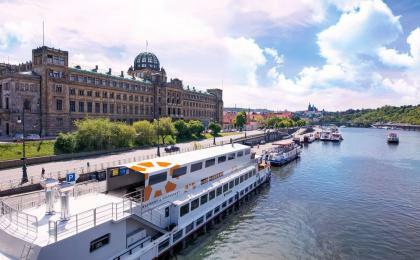 Embark on a river cruise and see Prague from a different perspective.Want to try? Order your own Prague river cruise. Coming to Prague withe your loved one? 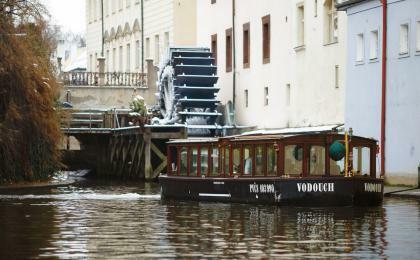 Explore the bends of Prague Venice - the Čertovka channel - during a romantic gondola ride.Want to try? Order your own gongola river cruise. Thinking about an original way how to wrap up your day in Prague? We´re in Bohemia, so a beer spa will be a very convenient idea.Want to try? Order your own beer spa in Prague. Let´s start of at the seat of Czech kings and presidents - the Prague Castle. Not only that you can choose from many tours focusing on different parts of the largest castle complex in the world, but mainly there is a great view of the city and its bridges. An ideal starting place to get yourself oriented and then step down into the swarming of Lesser Town (Malá Strana) and Old Town. Nerudova street will guide you to Lesser Town Square, where you shouldn´t miss the stunning baroqueSt. Nicholas Church with its over 70 meters high cupola. Those interested in how the richest noblemen lived in Prague can continue to theWallenstein Palace with an artificial grotto and a dream-like garden with a sala terrena. Others can head to the Charles Bridge right away. Mostecká street will guide right to the Gothic Charles Bridge. Take a stroll over the bridge and inhale the mixed atmosphere of medieval and nowadays Prague. Artist selling their pictures, buskers playing famous Old Prague songs and tons of tourists of course - but it´s worth it. Once you´ve crossed the bridge to Old Town, Karlova street will lead you to yet another jewel - theOld Town Square with the legendary astronimical clock. Wait for the top of the hour to see the walk of the Apostles while having lunch in one of the nearby restaurants. You must be quite tired by now, so maybe it´s time to experience something from the world-famous Czech beer culture. Try to find a free chair at the nearby “U Tygra” pub, were Bohumil Hrabal beside Václav Havel and Bill Clinton had a few pints after the Velvet revolution. Near Wenceslas Square (a focal point for shopaholics) another famous pub “U Pinkasů” offers not only great beer, but also genuine medieval air condition caused be the adjoined Gothic cathedral. 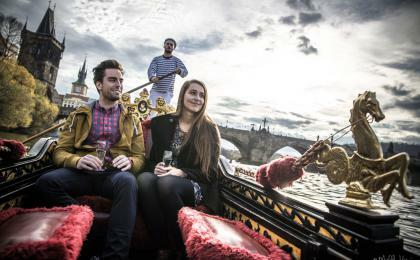 A nice and stylish way how to end your day in Prague is aboard a steamboat or cruiseship sailing the Vltava river. Have a good meal, spend a romantic evening with your loved one while the band is playing and get taken away by Prague by night. There is much more to see and experience in Prague. Check out all the possibilites at ActiveCzech.com.